trifocals there are three but with multifocal or progressive glass lenses, you can see across the room as well as right in front of you. 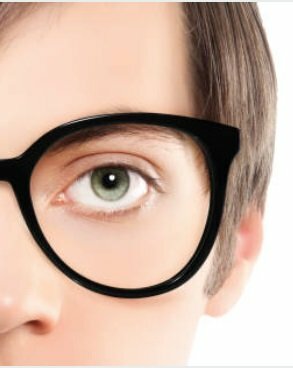 However, many who wear glasses do not feel as if they are ready to wear bifocals or trifocals even if that is the prescription lenses they need. This is because those types of glasses can look outdated or make the wearer feel older simply due to how the lenses feel and look. Fortunately, technology has come a long way and with progressive lenses, you do not have to worry about the thick glasses that are unattractive or adjusting your eyes to bifocals. Instead, you get a thinner glass that is comfortable and not noticeable to others. And with the technology in the following types of progressive lenses, you do not have to worry about some of the concerns that you may have such as blurry vision, swim, or not being able to see as well in low light. If you plan to get progressive glass lenses, you may be unsure about the many differences in progressive glass lenses such as the type you choose and even why one costs more than another. Here is a little of the science behind progressive glass lenses. Let’s get a few of the common issues with progressive glass lenses out of the way first, then look at the benefits. These are just the common complaints that keep some wearers from adapting quite as easily. The benefits far outweigh the negative aspects because progressive glass lenses are the only ones that genuinely mimic how your natural vision is. Along with being able to see far and near with one pair of glasses, these are simply closer to the vision we were made with. You not only have vision that is improved but better depth perception and improved contrast sensitivity. Here are a few types of progressive glass lenses and how they benefit you. These progressive lenses have three distinct technologies that are used. This is a technology that addresses one of the core issues some wearers have with progressive glass lenses – blurriness or swim. The reason you get blurriness or swim is change in power secondary to change in curvature. In the past, this specific change was what gave presbyopic patients an increase in power so that even in different distances, their vision was more clear. However, as you change the curve, you tend to get distortion in straight lines that you are looking at. This specific technology called Nanoptix Technology recreated the shape, making the swim less prevalent and wearers of progressive glass lenses easier to make the transition. This technology takes the data from your prescription for both eyes and optimizes the binocular visual fields. This technology takes your dominant eye and gives you the sharpest and most clear vision. Your dominant eye is what helps the other eye with perception and motor tasks. ose who wear progressive glass lenses is that the vision is not as clear in low light. The reason for this is due to how the dilation of the pupil in darkness. Since your pupil gets larger in darkness or low light, this causes aberrations and scattering of light when it enters the eye. In Varilux Physio Progressive Lenses, the data was developed by predicting the light entering the pupil and how that affects vision and the quality of vision. What they used is called WAVE Technology which stands for Wavefront Advanced Vision Enhancement. How this works is that it delivers more crisp and sharp vision by optimizing the optical quality and correcting lens aberrations. It also has the Binocular Booster Technology that allows both eyes to work better together. Easier access to peripheral vision by near zones and widened distance which also gives the lens wearer better comfort. Better access to near vision and a better transition. Less blurriness and swim due to minimized astigmatism. All of these benefits combined help you adapt to the lenses faster and increase adaption. What they use is a proprietary formula called Live Optics process, Body Head Eye Movement (BoHEM) technology. How it works is that researchers are able to better determine how different stimuli to the vision affects how those who wear progressive glass lenses move their eyes, body, and head. This helps tremendously with peripheral vision. Your typical progressive lens wearer will find these lenses provide very good vision because of their ability to allow the eyes to adapt to various lens zones quickly without deterioration of the vision. The reason this is so important is the use of mobile phones, tablets, and computers across different and complex environments. 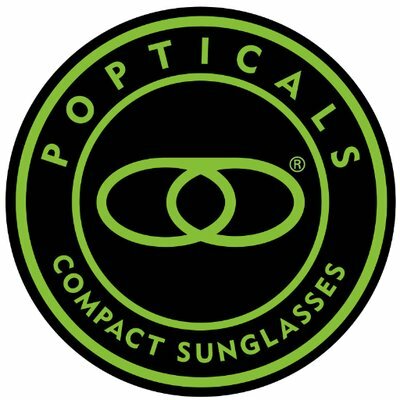 If you are an active progressive lens wearer then DEFINITY Progressive Lenses are a perfect match; this includes outdoor activities and those who enjoy sports activities. What they use is DUAL ADD 2.0, which is a patented technology. How it works is that it improves on the distortion that lens wearers find troubling. This helps improve distance vision as well as a more clear and sharp vision. This type of progressive lenses also is more like natural vision due to the Ground View Advantage technology it uses. How that works is it lets you look down easier, drive, use a computer or screen, and participate in sports by providing an additional zone of vision at the sides and bottom of the lens. You may be wondering which type of progressive glass lenses are best for you. Taking into account what each progressive glass lenses bring to the table, you are able to see which concerns you have and then build on that. For instance, if you are looking at a faster and easier adaption to the lenses, then the Varilux S Series is a good choice. 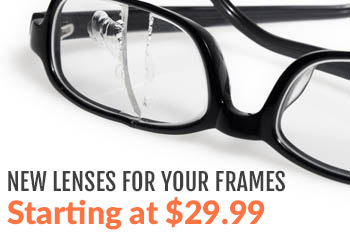 They are also good for those wearers who often feel a little off-balance when using lenses. If you play sports or are very active then the DEFINITY Progressive Lenses are an excellent option since they give you good vision at all distances and mimic your natural vision, which is important to being able to feel comfortable wearing them. Your doctor can also make suggestions on which ones to try and what might work best for your individual needs but with this information, you can still make an informed decision on your own. If you want to learn more about progressive glass lenses, would like to know more about what we offer, or are ready to shop for a pair, feel free to contact us so we can help with any other questions you may have.